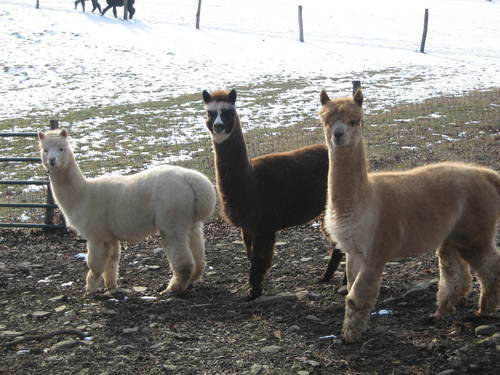 Locey Creek Alpacas: Interested in purchasing an Alpaca? 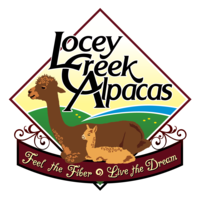 Home Locey Creek Alpacas: Interested in purchasing an Alpaca? 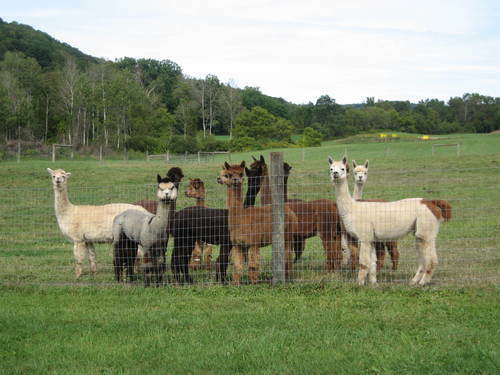 Are you thinking, Why invest in Alpacas? There are tax advantages under IRS Code Section 179. If the alpacas are raised for profit, all the expenses attributable to the endeavor can be written off against your income. Expenses would include not only feed, fertilizer, veterinarian care, etc., but depreciation of such tangible property as breeding stock, barns and fences, all of which can help shelter current cash flow from tax. Please consult your accountant for your individual situation. 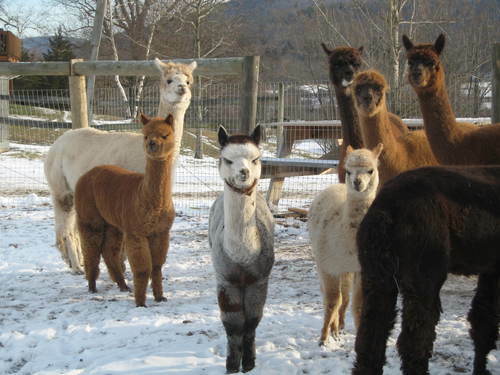 Alpacas are a herd animal. They survive and thrive in a group. We want our alpacas to live in an environment that they are safe and happy. We will work with you in your plans on setting up your buildings, and fencing. We will be there for any questions that you may have. We are supportive in your new investment. All bred females purchased will come with one free breeding to one of our Herd sires. Any open female comes with two free breedings from any of our Herdsires. That's "Three for the price one!" Whether you are interested in purchasing a female, herdsire or fiber animal, we believe that you are purchasing an investment and a new lifestyle. Option 1 - 50% down, with equal monthly payments and final payment due in 12 months at 0% financing. Option 2 - 33% down, with equal monthly payments and final payment due in 18 months at 0% financing. Option 3 - 25% down, with equal monthly payments and final payment due in 24 months at 0% financing.